I'd not heard of JD Williams before this week, and I'm a little surprised at how many great goodies are within this store, that I'm missing out on! From women's clothes to kids toys, from home decor to gifts, there is a lot on their website and I would suggest you go with an area in mind or a lot of time to kill! I went to their Christmas section and chose some rather fabulous items to add to my Christmas decor this weekend, but if I'm honest, I could have easily bought a dozen items! With so much choice I ended up choosing 4 light products, unintentionally, but so worth it! Well, this is just beautiful! 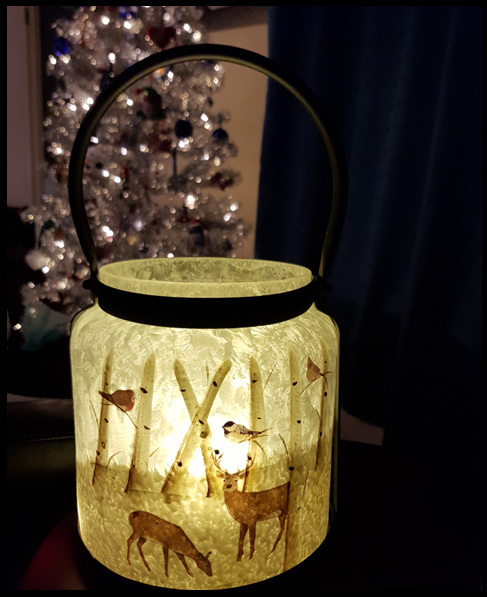 I don't believe my pictures have done it justice, I've placed this on the table next to my chair because I love so, and I'm debating not putting back in the loft in the new year, classed as a Christmas decoration, I do believe I can get away with this staying all year round! 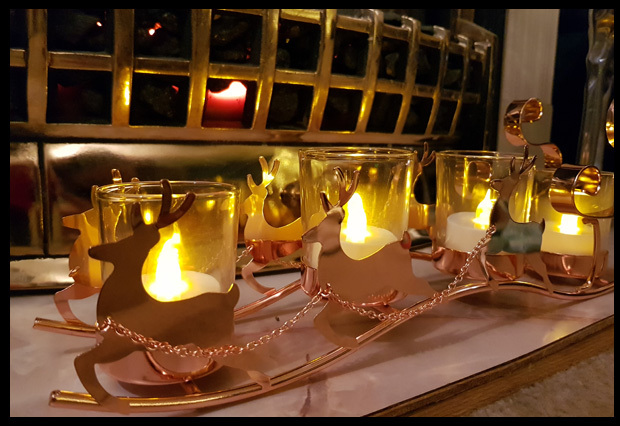 My second reindeer themed purchase is Santa's sleigh tealight holder. These are a rose-coloured metal and whilst not in keeping with my colour scheme, I found they look and fit in perfectly in front of the fireplace. 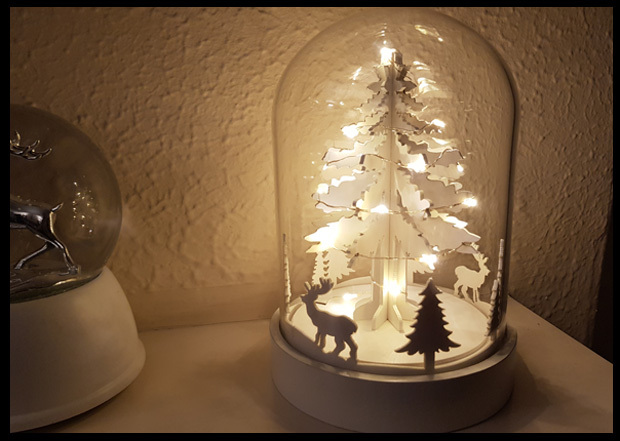 I have a reindeer snowglobe on my mantle, which I bought a couple of years ago, and decided on the dome tree to go alongside it, the fact that it lights up is a bonus for me, and it looks rather pretty in the evening with the rest of the lights on. Another product that is far better than photo images portray. My final product is the most beautiful tree! Now, it doesn't look much when you get it out the box and put it together, but the minute the lights are turned on it truly shows it's beauty. Proving to be very popular on JD Williams, I wouldn't be surprised if these end up out of stock before Christmas. 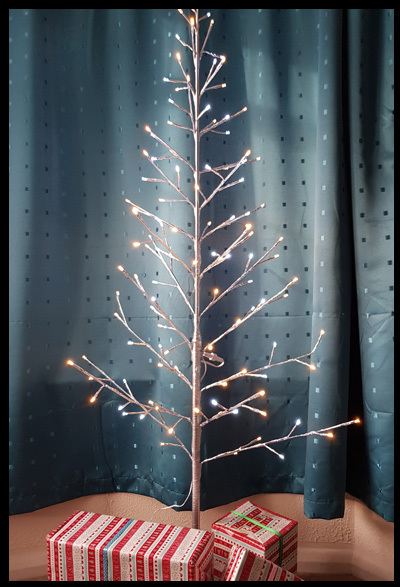 As I have a very excitable 6-year old who has just decorated our silver tree, I can't very well take it down and replace with this fabulous, stylish, space-saving tree. This tree is not destined for my home, this tree went to work with me! After all, I spend 8 hours a day, 5 days a week there, so yes, I want something beautiful and magical to get me through the day. 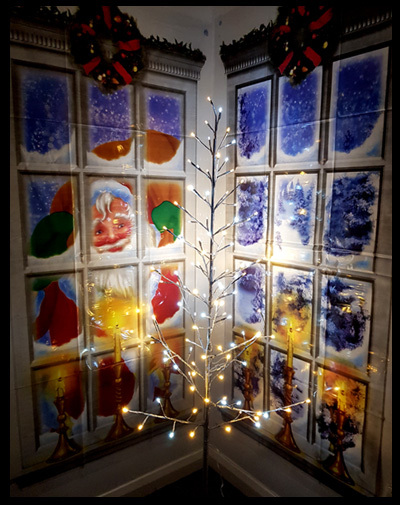 My work colleague purchased some window displays from Amazon and I just knew, my tree would complete that scene, and it does! I want to work with the main light out and just sit by tree light, but that's not very practical apparently! I received Christmas Decor from JD Williams to review.